Need a rubric that lets you assess standards, process, and genre knowledge all in one place? So did I! So I created this rubric to help me track student progress, group students with similar needs for partial group workshops, and intervene in one-to-one conferences throughout the writing process. I even use it to see which students can lead peer workshops. 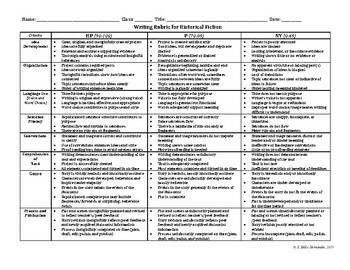 This 1-page rubric will help you see a wealth of skill proficiency and genre knowledge in your students' writing. Simply print out one rubric per student, highlight the points evident in their work, and see at-a-glance what supports they need and what strengths they can share in peer-tutoring sessions in your class.